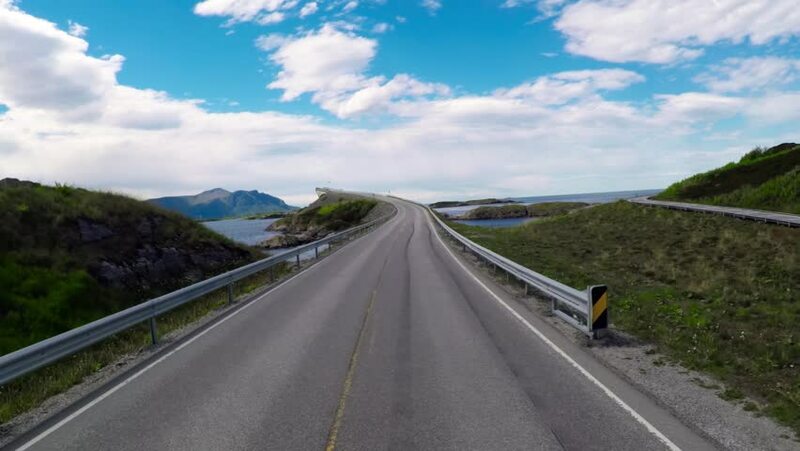 Driving a Car on a Road in Norway Atlantic Ocean Road or the Atlantic Road (Atlanterhavsveien) been awarded the title as (Norwegian Construction of the Century). hd00:44Driving a Car on a Road in Norway Atlantic Ocean Road or the Atlantic Road (Atlanterhavsveien) been awarded the title as (Norwegian Construction of the Century). 4k00:09Clip of highway number one at Hawequas nature reserve, taken out of the car. 4k00:13Woman on a bicycle rides a coastal highway on the island Brac in Croatia. The background shows the Adriatic Sea.